Platinum necklace with 15ct diamonds. 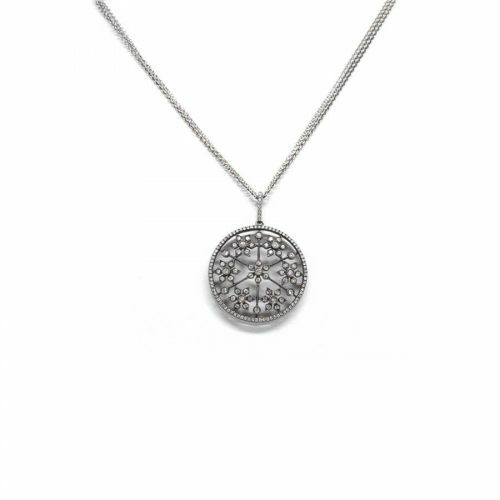 14k yellow gold and white gold pendant necklace with 3 diamonds. Center diamond is an old mine diamond, with 2 slightly smaller diamonds above and below. 14k white gold and 3-diamond stud earrings. 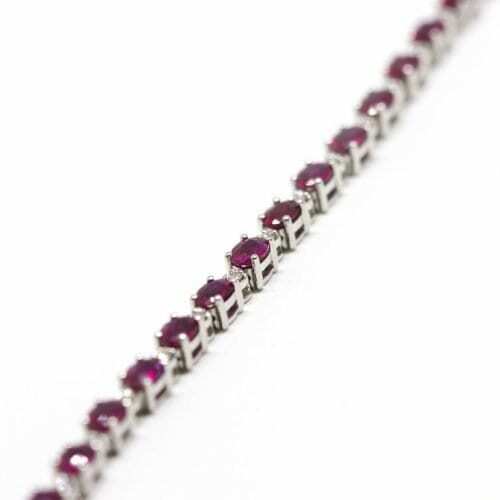 14k white gold necklace with 3-strand cable chain and diamond studded pendant. 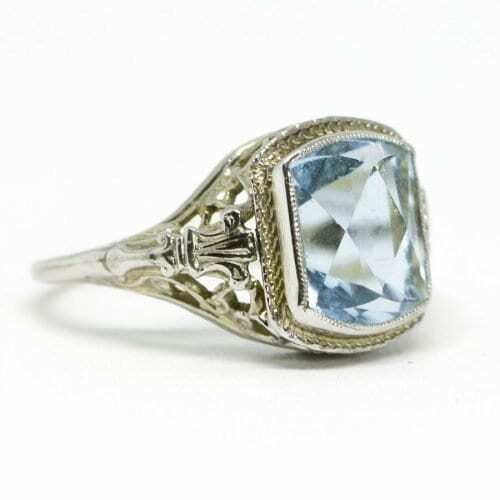 American Estate Aquamarine Ring made from 14k white gold. 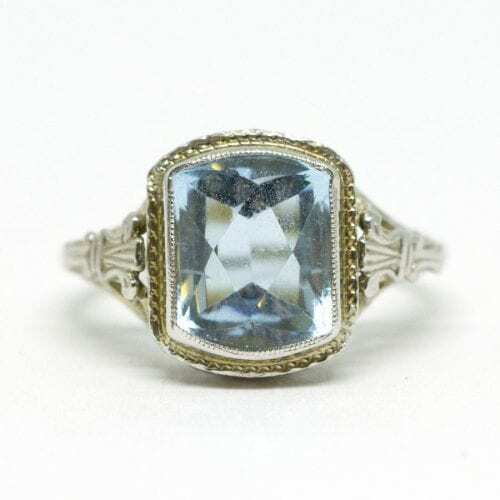 The ring holds a center 2 carat rectangular aquamarine stone and features filigree detailing. 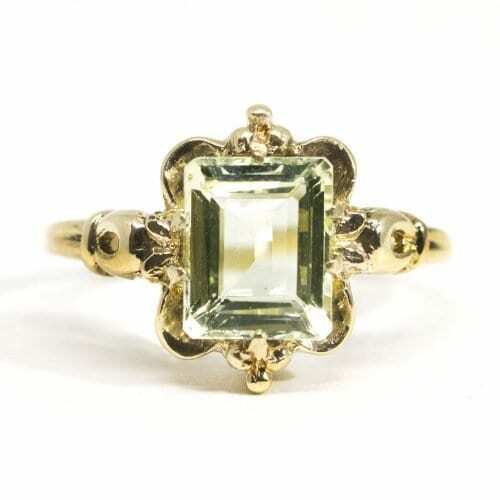 1930s American Estate Green Beryl Ring made from 10k rose gold. The center is a prong set 1 carat Green Beryl. 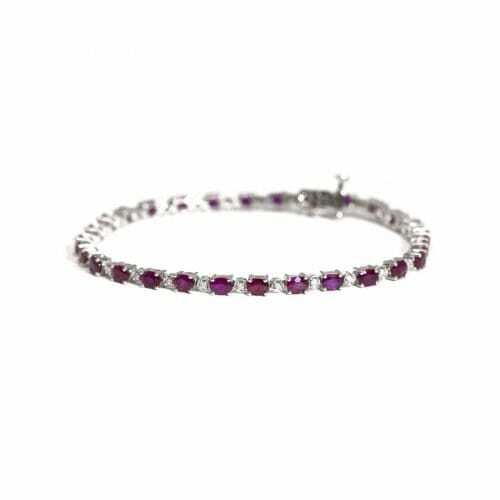 The ring features hand engraved detailing and beading. 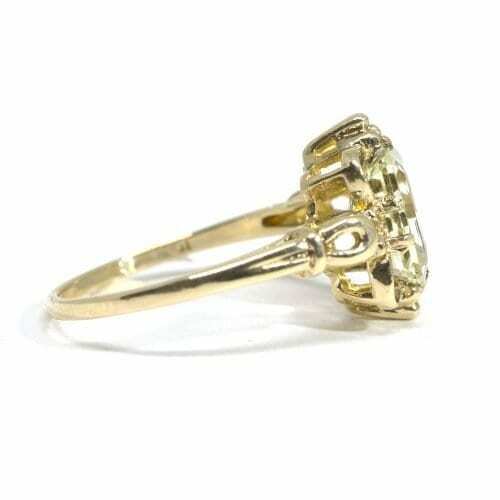 18k yellow gold that has been anodized (electric currents) to achieve different hues. 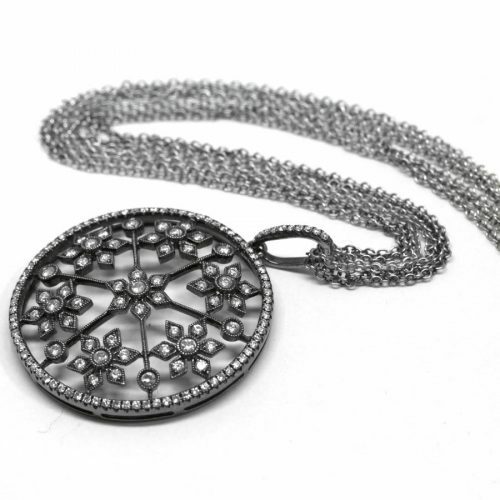 The flower shape has a diamond cluster in the center. By Simon G.
14k yellow gold lever back earrings with aqua chalcedony and diamond accent.